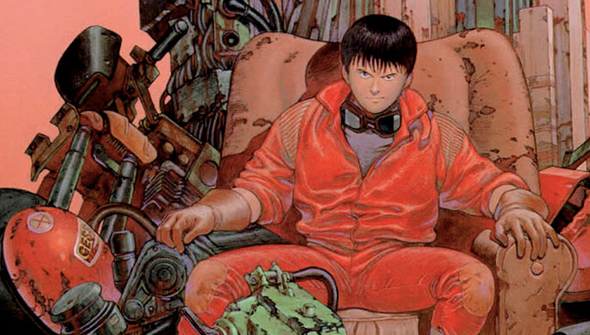 Hollywood has been trying to bring a live-action adaptation of Katsuhiro Otomo's classic Akira to cinema screens seemingly since the original first became a cult hit. After various other aborted attempts, current rights holders Warner Bros have been trying to make the project a reality for around the past five years at least. The last we heard the most recent attempt was canceled due to spiraling budget projections. It now seems the project is back on once again and a new screenwriter has been hired. Um.. yay? We guess? There seems to be renewed interest in Hollywood versions of anime and manga properties. This seems likely to be due to the current popularity of comic-book movies- and the fact that the rights to most major western properties have already been sold. So, with Ghost In the Shell looking like it's finally happening, at DreamWorks, WB have taken another look at this iconic property. According to THR Warners have hired Marco J Ramirez, currently best known as the showrunner for the forthcoming second season of Marvel's Daredevil, to take on the script. Recent versions of the scripts have taken more inspiration from Otomo's original, sprawling manga source rather than the animated adaptation. This would seem to be a shrewd move, as the original comic has much more to it and is superior to the movie in most regards. The question remains what the point is exactly, as it will almost inevitably relocate events to America and rename all the characters. And if it's relocated to New Manhattan and whitewashed, how exactly is it Akira? It also has to be asked how much traction the brand still has. Although fans in their late twenties and up hold it up as a classic of world cinema many younger viewers haven't seen it, so why would they care? Of course, we've been here many times before and we've no reason to think that this version will be any more successful than the last. It may depend on how well Ghost In The Shell does, but we'll file this under "we'll believe it when we see it" for now.